Yes -- it's happening again. Another installment of the beloved Engadget Podcast has made its way to the virtual airwaves of the ever-loving internet, and now you can listen in for personal enjoyment and edification. Today Josh, Paul, and Nilay get to the heart of our recent "preferred OS" poll, Apple's treatment of iPhone developers, Amazon's abandonment of painful packaging, and more. Included in this podcast is a first-ever (for Engadget at least) on-air unboxing. 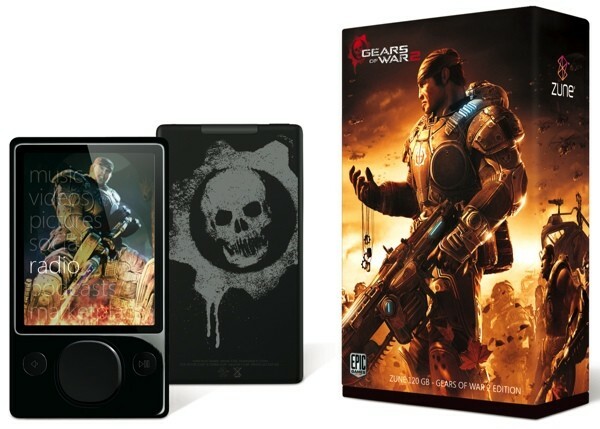 That's right, hear the sounds of a Gears of War 2 Zune getting ripped open. As a treat to our faithful listeners, we'll be giving away that very special edition 120GB Zune! Follow the instructions after the break to learn how to make it yours. Update: We've also included that Best Buy rap discussed in the podcast. Enjoy! 01:43 - Poll: Which OS do you prefer? Leave a comment below. Any comment will do, though a mention of your favorite moment of the podcast, or anticipated activities with your new Zune are welcome. Winner will be chosen randomly. The winner will receive one (1) 120GB Gears of War 2 Zune. Approximate value is $249.99. Entries can be submitted until Friday, November 14th, 11:59PM ET. Good luck!